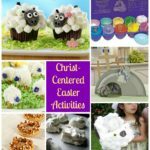 I am a 40 year old Christian wife (married 19 years), part-time pharmacist and mother of 2 children. I accepted Christ as a child and grew up to be very involved in church, I had my Bible study and prayer time almost every day from high school and thereafter. I wanted to please God. I was a straight A student in high school and most of the time in college, too. I got customer service awards as a pharmacist. I cared about people. I was super friendly. I never let anyone feel left out or ignored around me. I went to church 3 times a week most of my life. 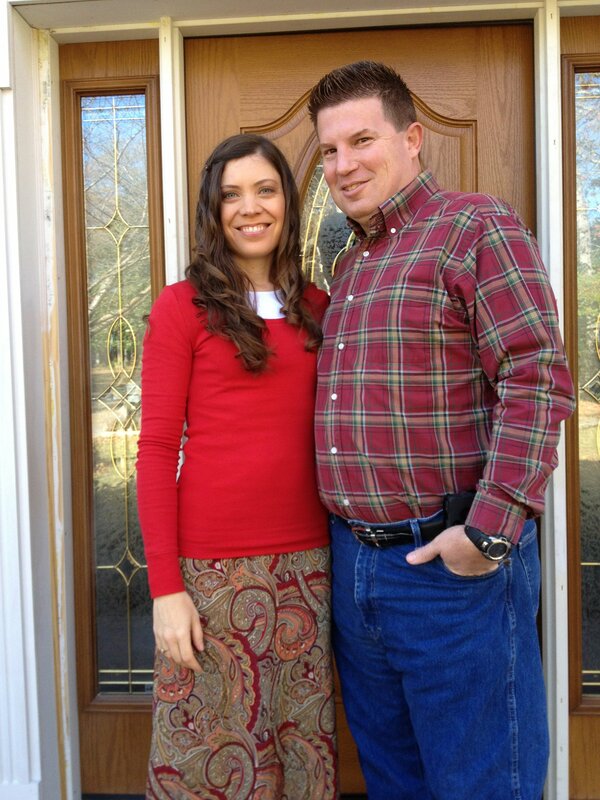 I believed I was the best Christian wife and woman ever for the first 14+ years of my marriage. 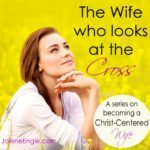 But my husband – well – he was not the Christian husband I had expected him to be. 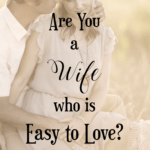 VERY early in our marriage, my husband began to stonewall and shut me out. Sometimes he would barely look at me, barely speak to me and barely touch me. I hurt so much! I prayed and prayed for God to change him. I wanted him to be a strong, godly leader. But he wouldn’t answer when I asked him important questions. I thought he wouldn’t lead. So very early in our marriage, I felt I had to take over. I didn’t think I had a choice. I had been the dominant twin in a set of identical twins, and I just took over the dominant role in our marriage, too. I was stressed, anxious, worried, afraid and very lonely most of the time. My husband NEVER said what he needed from me. He seemed to want me to just be quiet and smile. But how could I do that when he was hurting me and ignoring me so much? So I continued to tell him how upset I was and how he needed to change and how he wasn’t being a godly husband. There were times that were fairly “ok” but I knew we were missing out on so much intimacy emotionally and spiritually – even physically. I didn’t understand why. I would beg him to tell me what he needed from me. He wouldn’t say anything. 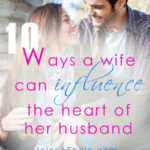 I became convinced that my husband had no feelings and begged God to make him be more loving to me. 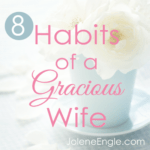 I thought I was obeying all of God’s commands for me as a wife. I mean, I didn’t cuss at my husband, scream or throw things or threaten divorce. In December 2008, I opened the book, Love and Respect, by Dr. Emerson Eggerichs. I read the first chapter in the book store and asked Greg, “This can’t be right, can it? It says that men need respect as much as women need love?” Greg said, “Yeah, I’d say that’s right.” Suddenly, our 14.5 years of marriage flashed before my eyes in a new light. Suddenly, I realized that I did not have an A+ on my “wife report card” – it was maybe more like a D-. I was mortified! I read the book and tearfully apologized to Greg over and over again. He immediately forgave me – it took all of 2 seconds. Wow. I knew I could never have forgiven him that quickly. Maybe I wasn’t the spiritual giant I thought I was. PRIDE PRIDE PRIDE – thinking I knew better than Greg all the time, that I was always right, that my way was the only correct way of looking at anything, and, honestly – I thought I knew better than God, even though I doubt I would have said that. Idolatry – I put feeling loved by my husband above Christ in my heart. And I also trusted myself much more than I trusted God. I didn’t consciously say these things, but that is exactly how I lived, as if I was sovereign and in charge of everything and everyone and as if God was a small, little wimp. Disrespect – I had NO idea all the things that are disrespectful to men. 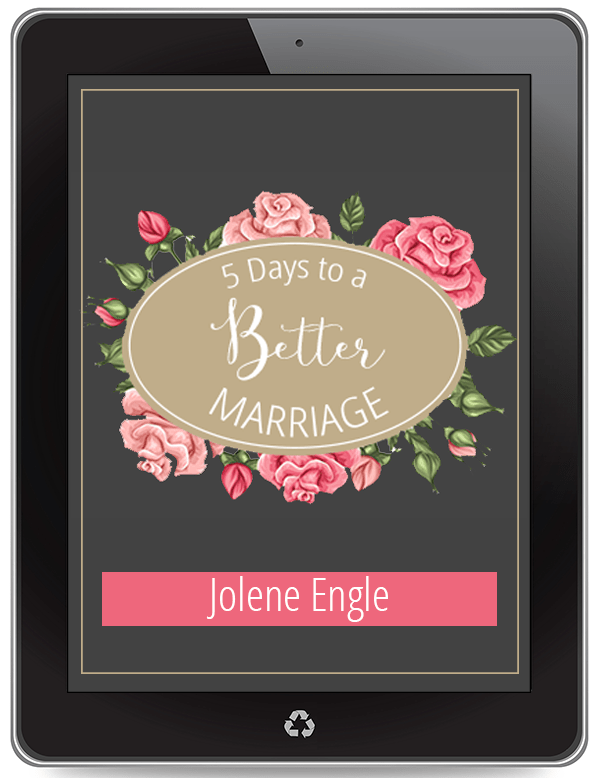 I had tried to verbally force my husband closer to God by criticizing, lecturing, arguing, insisting, nagging, complaining and bossing him around. 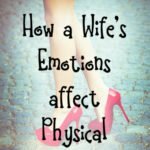 I had actually pushed my husband away with my disrespect – and I never knew I had hurt him. He didn’t say a word about how wounded he was, or about my disrespect. He just shut down. Unforgiveness, resentment and bitterness – I held on to all of these things. They were a toxic poison. Jesus says God won’t forgive me if I won’t forgive others. God helped me repent of all of my sin, and then He filled me with His Spirit as He taught me to die to myself and submit completely to Jesus, living in total obedience to Him. It took a good 2 years before I felt like I had a clue what it meant to respect my husband. At first, I tried to just be respectful, but not to actually respect my husband. That didn’t work! I had to actually find good things in him to admire. As I focused on Philippians 4:8 kinds of things, and stopped the negativity, and began to look for ways to build up my husband with my words, to encourage him, to appreciate him, to admire him and to cooperate with His God-given leadership, God radically changed me first. 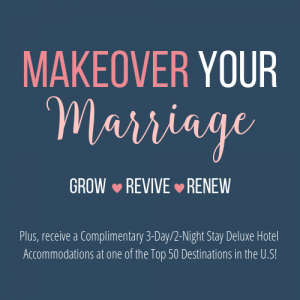 Then He radically changed our marriage, and eventually, He began to radically change my husband, too. 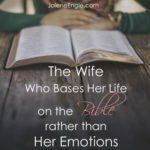 My motive HAD to be only to please Jesus – not to change my husband. God made sure of that! Now, we BOTH have the marriage of our dreams. Funny how doing things God’s way brings real peace, joy, fulfillment and blessings. April, I really loved reading your testimony. Thank you for sharing your heart. 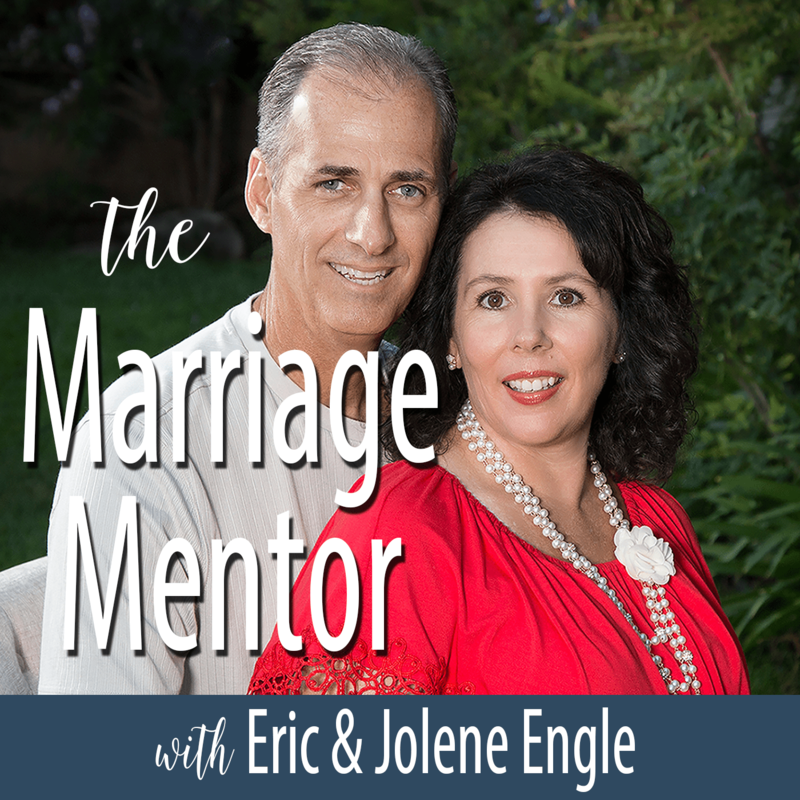 I know other marriages will be greatly blessed by your words here. 🙂 I have an incredible amount of respect for my husband, but as I was reading your story, I realized how much I think the way you did. “He’s not leading our family well enough – spiritually.” “He’s not taking his health seriously.” “He’s not avoiding worldly sinful things.” “He’s not…” “He’s not…” “He’s not…” But what about me? Am I really so perfect? Um…No! I feel very convicted that I have my own issues needing “worked on” and that mentally picking apart the people I love is the first thing I need to change. I am so glad that this post was a bit eye opening for you. :). I sure wish someone had shared this with me 19+ years ago. But I am so thankful that God, in His great mercy and grace, did open my eyes. It is interesting that you mentioned other people. I was controlling and disrespectful toward my extended family, too. I thought I was being helpful and loving. I told people what to do because I obviously knew best for all of then. Yikes! So I did have to go to everyone in my extended family and repent and apologize for my sin against them. I learned to eat a lot of humble pie. Now, I love humble pie. But at first, it is a tough flavor to swallow. Thankfully, God showed me that what He wanted was for me to be sanctified and made more and more holy and more and more like Jesus. Dying to self and offering self as a living sacrifice is HARD. Our old sinful nature fights those things tooth and nail, but how amazing to get to live in God’s peace and joy every day and not to have fear, anxiety, loneliness and worry anymore. Jesus alone is able to meet all of my needs. My hope is completely in Him, :). I can’t wait to see what God is about to do in you. What a wonderful testimony with such great words of advice! 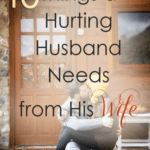 I think we often think that our husbands feel just like we do…in other words, have the same needs and desires. However, God made us differently so we would compliment each other and be a good pair. It took me a while to understand how important respect is to a man, too. But, I’m so glad that I did! 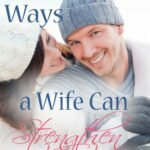 Your article was a great reminder to continue to look for ways to encourage my husband and show him respect. That is EXACTLY what I did. I assumed Greg was just like me. He isn’t!!!!! Learning about what real godly femininity and masculinity are – from God’s Word, not our culture – helped me truly understand, appreciate and marvel at my husband and God’s design. I was able to lay down my unrealistic expectations and learn to see the good in Greg. OUCH! Owwie Owwie OUCH! 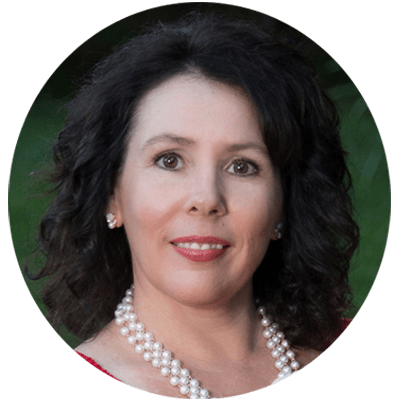 April – WOW – you have no idea how hard this hits! And yet I am incredibly thankful! Our lives and attitudes are remarkable similar!!! Well…. except I’m still at point “A” and I need to get to point “B”. My husband does not communicate well, either. I mean – he’s not a big talker. So it is hard to know what he is feeling. Someone had mentioned the book “Love and Respect” to me in the comment section of another post, and I thought – oh that sounds good, I’ll read it someday. I think someday is now. I am so quick to do what is right – what I THINK is right – and worry about why everybody else isn’t doing it “right.” I think as much as this is going to hurt – it is time for some serious self examination – and some serious repentance. I have a very hard time “letting go and letting God.” The paragraph you wrote about idolatry – that is a bitter pill to swallow – but it is like I am staring in a mirror. It is hard even admitting these things. THANK YOU for speaking up, and being willing to share your story. I will pray for you, and I would ask you to pray for me, that I will be open to listening to God and learning. Thank you, April. Thank you so much. I have been where you are!!!!! I cried for the first three days and wanted to go live in a cave for the rest of my life. I suddenly realized that almost every word out of my mouth had been sin for decades. YIKES!!!!!! I was either complaining, trying to make people submit to me, disrespecting others, controlling others, criticizing others, bitterness, unforgiveness, saying negative things, arguing, worrying, gossiping, disrespecting or causing division. I didn’t want to ever see another person ever again. I finally came face to face with the fact that I was a WRETCHED sinner. Turns out, I owe Jesus “billions” of sin dollars, not just a few hundred. The amazing thing was, as I spent weeks and weeks confessing more and more sin God had revealed to me, as I learned to die to self and began to actually live out the LORDSHIP of Christ for the first time in my Christian walk – the constant voice in my head, the worrying obsession, began to slow and stopped completely. I began to be able to be still before God. I had to face all my fears head on and decide God was worthy of my faith and trust. I felt like I was flinging myself off of a cliff at first. But now, you could not pay me to return to my old destructive, sinful ways. I have lots of posts about all of these topics. I think you will find help for your journey at my blog if you are interested. I pray that God might help me to connect the dots closer for those coming behind me than they were for me. This is a LONG journey. It is not an instant thing. It took me a good two years to feel like I had any clue what I was doing. It requires total renovation of the mind, heart and soul. It requires tearing out every idol by the root. That HURTS and it is terrifying! It requires us allowing God to look in every dark corner and remove all the gangrene from our hearts. This is the path to the greatest peace, joy and intimacy with Christ you could ever imagine. I am so excited about you starting this journey. I am glad to walk beside you and the other ladies. It is quite an exciting adventure! Update! Hey April! I have been reading the Love & Respect book – and while I didn’t like it at first, there is a lot of good info in there for both of us. This may seem small, but the other day we were at a sporting event, and my hubby (who drives in the city a lot) was going to parallel park my car in a VERY tight spot. I was nervous, as I cannot parallel park at all – BUT – I kept my mouth shut. He did perfectly, as I knew he would, I am just so used to sharing my concerns. It was kind of – freeing! Later, I confessed to him that I was biting my tongue and he laughed. He had known that, but he was very happy I made the effort. Just last night he commented how much more peaceful and relaxing our home has become, and how he feels less stress at work because he knows home is peaceful. God is so good! I LOVE that entire series!!! If you look at my blog I push that series all the time. It has also helped to reshape my marriage too!! 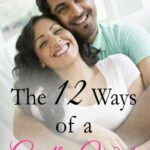 My husband is not a godly man per say, but it has still helped us. Great post and thanks for sharing your personal story. I am so thankful for the Eggerichs work and all that God has done through them. I am also thankful that even if only one spouse pursues Christ, He gives us the power and resources of heaven to pour into our marriages and to bless our husbands and influence them for Christ. We can’t control them. That is actually a good thing! But we can inspire them by focusing on our own sin, our obedience to God and being full of His Spirit. 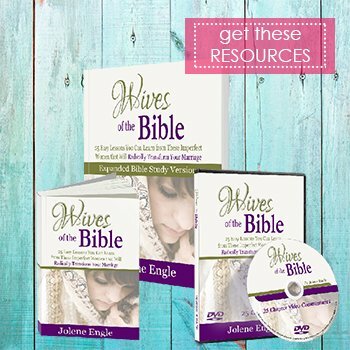 Yes, I pray for other wives to discover the treasure of God’s wisdom and design, too. Most of us have unknowingly swallowed poison from our culture and/or families… Not to mention our own sinful nature. 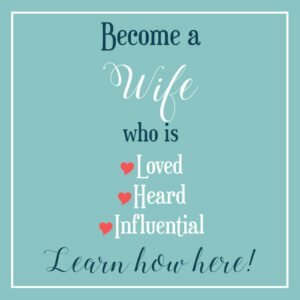 I long to see wives walk in God’s power, wisdom, purpose and accomplish His will in our families for His greatest glory. Thank you so much for this article!! It was exactly what I needed to read today and helps me to see where I need to go. I know I need to be more humble and let go of a lot of past hurts. I need to trust Heavenly Father and give Him everything. May God richly bless your walk with Christ. I am very pleased to meet you, :). Guess how long it took for our marriage to nosedive and for me to begin serious disrespect? 1 week. How I WISH I knew then even a fraction of what I know now. But I am thankful God showed me His path. I can’t wait to see what He has in store for you and I am so happy that you get to start on this road much earlier in your marriage than many of us did. What a blessing!